Curiosity about elderberry syrup peaked tremendously this past winter! With so many health-full properties, it is a great addition to one’s daily wellness routine. Join us for a morning of learning how to make elderberry syrup. Additionally, tips on growing, harvesting, and using fresh elderberries will be addressed. 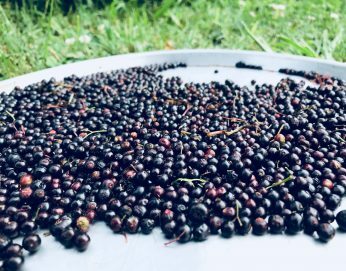 Participants will go home with a recipe, 8 ounces of elderberry syrup made with all organic ingredients, and the knowledge of how and why to make/utilize elderberry syrup.